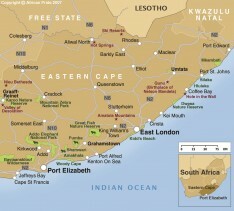 The Eastern Cape boasts an outstanding selection of private concessions and award-winning private game reserves. 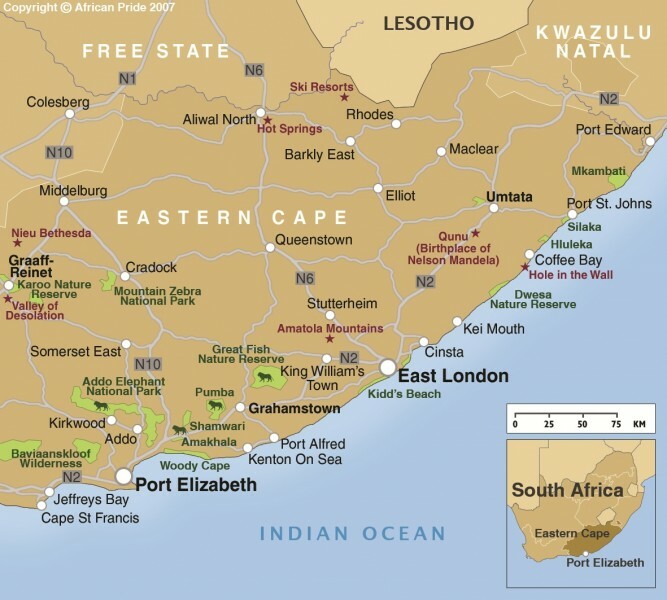 ​Surrounding Port Elizabeth are a number of game reserves which have been created in the past 10 - 15 years (apart from Addo Elephant Park which was established in 1931). Most of the lodges are within a 45 minute to 1 hours drive from the city or airport and all are malaria-free. Plenty of animals are to be seen on safari here - such as elephant, lion and rhino. However, just being in the bush, seeing wildlife such as lizards and frogs and colourful birds can be just as rewarding and the rangers will ensure that you see as much as possible during your stay. We would recommend a minumium stay of 2 nights and the area makes the perfect way to finish a journey along the Garden Route.